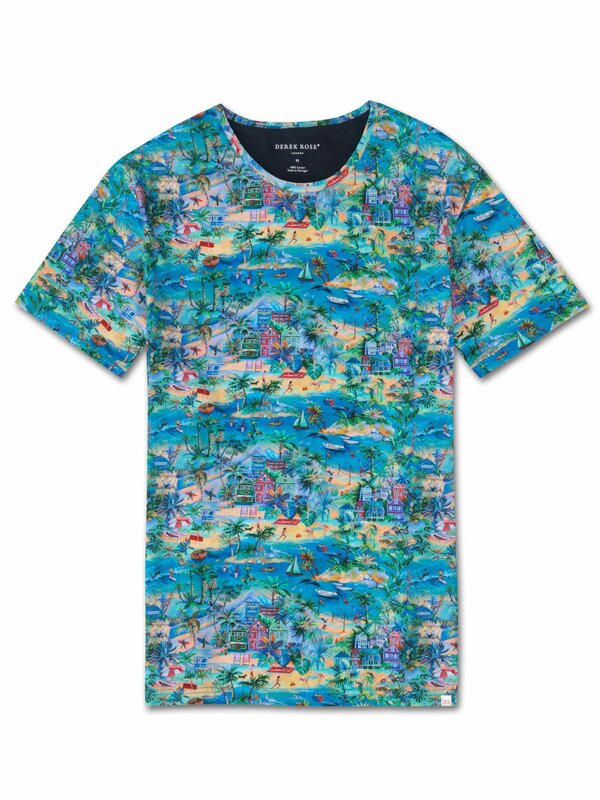 Hand-painted in-house, this vibrant print is based on the beaches of Malibu and LA and is full of California inspired imagery. You can find surfers, the Mountains of Malibu Creek State Park, dolphins, seals, a lifeguard hut, flamingos that have escaped from San Diego Zoo and much more. The Henry 10 crew-neck is cut from pure cotton with a carbon-brushed finish for a truly luxurious handle and has small, thoughtful touches such as an extra soft neckband and narrow cover stitching for a refined finish. As always, our branding is kept subtle — with a discreet printed logo at the neck and a discreet flag label at the bottom of the t-shirt. Our sumptuously soft cotton is exceptional at retaining both its colour and softness, even after continuous washing. Using a unique technique of carbon-brushing, the cotton fibres are softened and the finished garment is pre-washed to ensure a more comfortable fit that won't shrink in the wash or deteriorate as you wear it. We really can't explain in words how good this feels on!